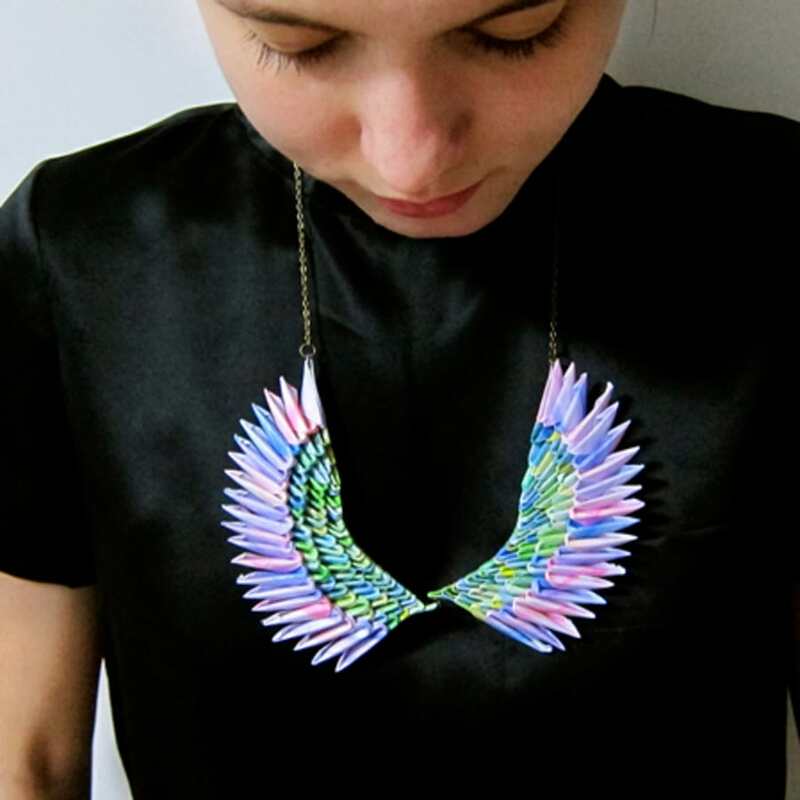 Summer is coming, and what better time to learn how to create your own stunning jewellery from simple sheets of paper? Join textile designer Kristen Kong and learn how to fold, shape and colour paper in to intricate personalised pieces that will last for years to come. 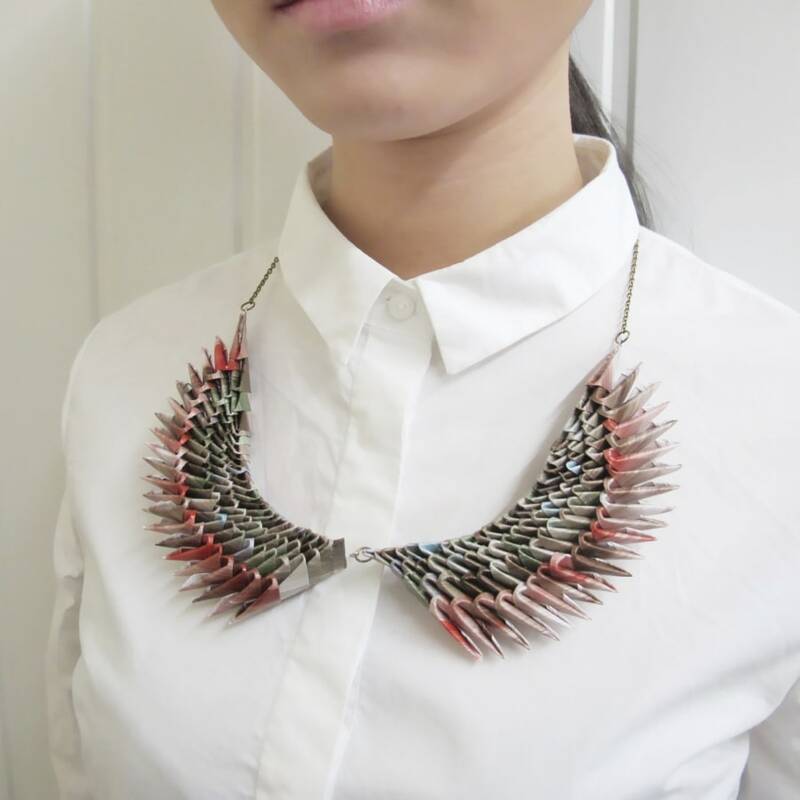 This workshop aims to teach you origami technique for jewellery making and 3D structures. You are going to create our signature “wings” collar with your own colour selection. You will leave the work shop with a finished necklace and knowledge of 3D origami. 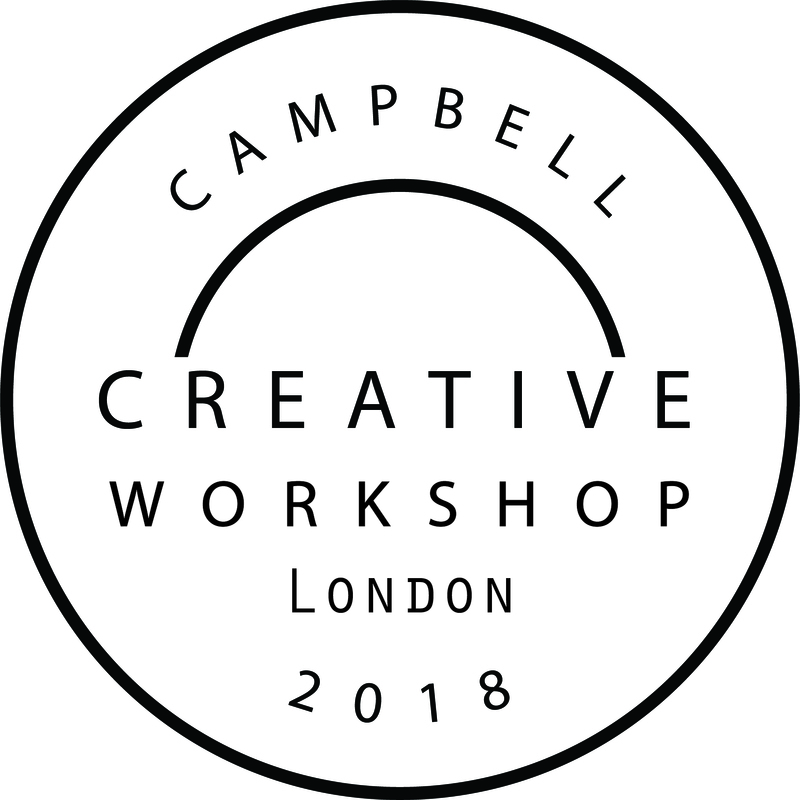 Campbell Creative Workshop is set up by two creative artists Lewis Campbell and Kristen Kong who graduated from Royal College of Art. Lewis works as an illustrator, storyboard artist and animator, working creatively on commercial and non commercial projects alike to form a rich portfolio of work. Kristen is a designer with a textile background specialising in reusing found objects and waste materials to create new objects and products. 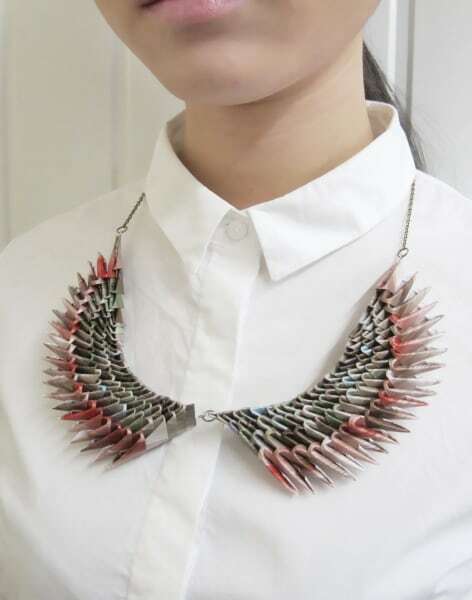 She gives new value to her found objects and waste materials by combining traditional techniques with innovative thinking in her designs.